Last year, on our NYC trip, Belle and I had tea at American Girl Place, in one of the highlights of her short life. If you have a daughter who loves dolls and tiny things, I highly recommend it. 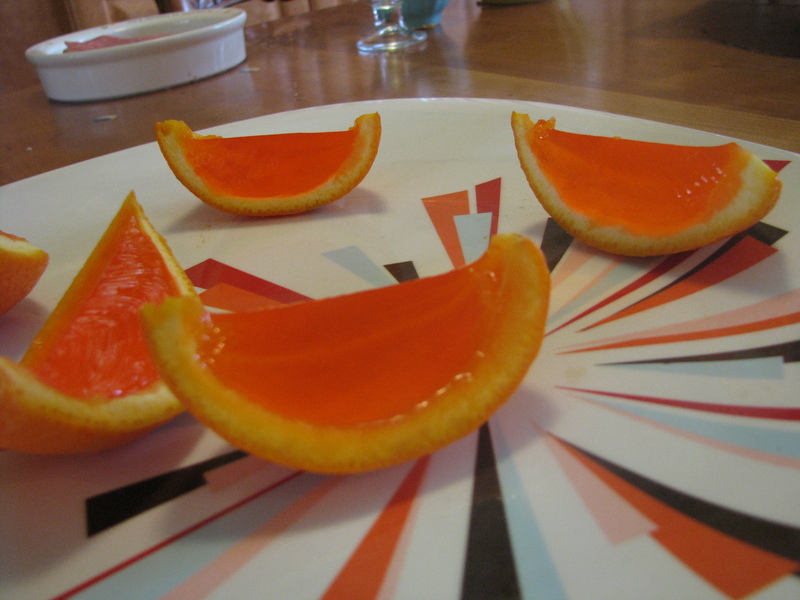 One of the most cunning little treats served on the multilayered cupcakes stands was "orange slices" using a real rind with the fruit scooped out and replaced with orange jell. When Belle and I complimented the pink-aproned waiter he brought several more on the house. 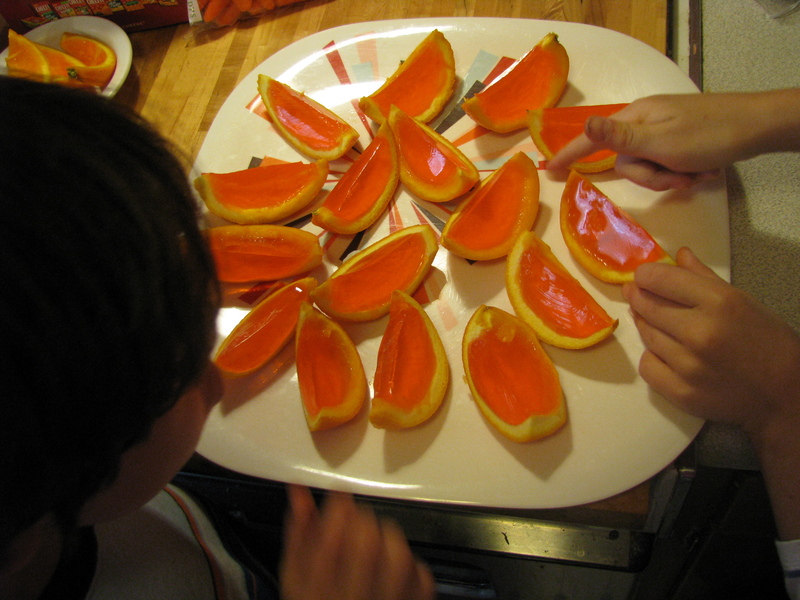 Thanks to this great Not Martha tutorial, we recreated the fun at home, and every kid in sight loved them. Then we made smoothies with the orange pulp, lots of ice and honey. Big Kanazashi Flowers from baby wipes! Filth Wizardry.